Is there any lip colour more appropriate for summer than peach? One of my favourite hues to wear when I’m sporting a summer tan, a peach lip always has a way of making me excited for summer! 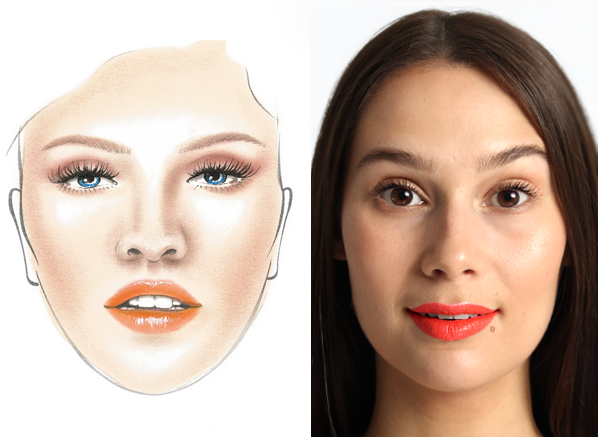 Inspired by the recent sunny spells, we’ve teamed up with MAKE UP FOR EVER to bring you a peach lip look that you’ll never want to take off. 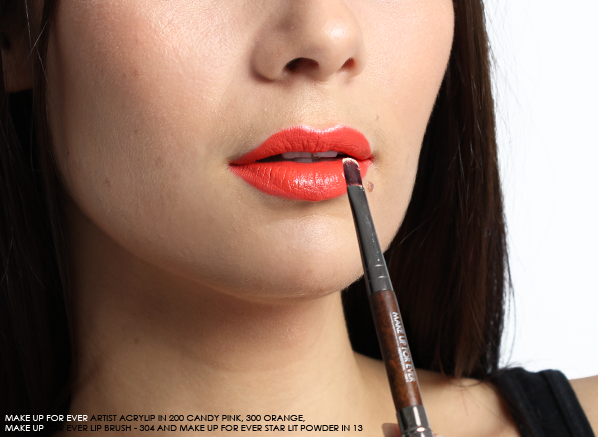 The first step in achieving this peach lip look is lining the lips. Lining the lips will not only improve the longevity of your lip colour but will also give a more professional result. 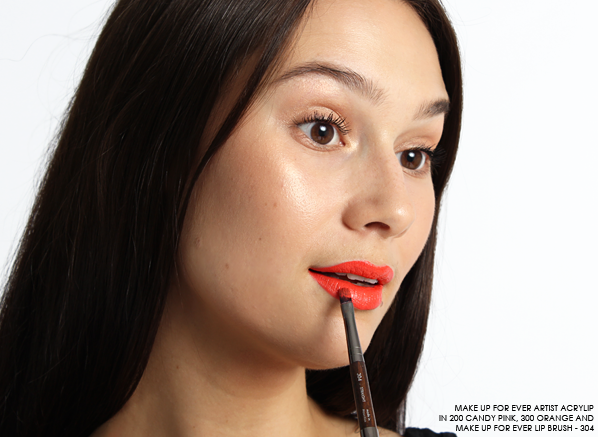 For this look, use the MAKE UP FOR EVER Aqua Lip Waterproof Lipliner in 18C – Coral to trace the lip line and fill in the lips. A vibrant coral pink, the MAKE UP FOR EVER Aqua Lip Waterproof Lipliner in 18C – Coral will create the perfect base for the Artist Acrylip. Now it’s time to unleash your creativity! Mix the MAKE UP FOR EVER Artist Acrylip Lip Paint 300 Orange and MAKE UP FOR EVER Artist Acrylip Lip Paint 200 Candy Pink to create a vibrant, warm coral pink. Mixing the two shades together will allow you to make your own custom colour, so if you like a darker coral, use more orange and vice versa if you prefer your corals lighter, use more pink! Once you’re happy with the colour it’s time to pop it on. 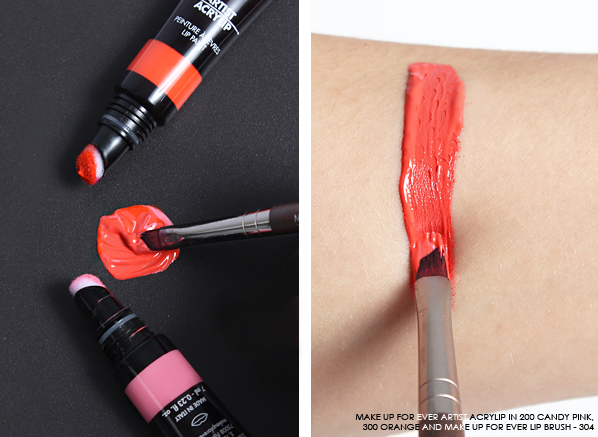 Use the MAKE UP FOR EVER Lip Brush – 304 to evenly apply the lip colour, remembering to stay within the lip line. Using a brush will allow you to achieve a more precise application, no one wants a wonky lip line do they? To finish, make a feature of your look by highlighting the cupid’s bow with the MAKE UP FOR EVER Star Lit Powder in 13 Ivory. A light-medium gold, this show-stopping shade will accentuate the cupid’s bow, making lips appear fuller and plumper. Could there be any better way to complete this peach look? This entry was posted on Wednesday, June 14th, 2017 at 5:46 pm and is filed under Get the Look, Make-up, New products, Swatches, Trends. You can follow any responses to this entry through the RSS 2.0 feed. You can skip to the end and leave a response. Pinging is currently not allowed.